Currently sitting at 9th place with a 2-11 record, Mono Vampire have struggled to get anything go their way this season which has led to a series of changes throughout the entire roster. After starting the season with Marcus Keene, last season’s ABL finalists have gone through import changes from Keene to Chris Charles to Malcolm White as well as taking Moses Morgan out of the lineup before putting him back in. The most recent move is said to be the release of star point guard Jason Brickman. The Mono Vampire Basketball Club have yet to be contacted to confirm the release, nor have the ASEAN Basketball League issued an official announcement. Several sources both inside and outside of the camp have confirmed that Brickman is no longer with the team and the team are already in the process of finding a replacement. Brickman was playing in his 3rd season in the ABL and his second consecutive season with the Mono Vampire Basketball Club. In 13 games this season, Brickman averaged 12.9 PPG, 4.5 RPG, 8.9 APG and shot 42% from downtown. The 2015-2016 ABL Finals MVP was crowned as the ABL’s all-time leader in assists in the very first game of the season as well. Brickman was considered as a heritage import in his first two seasons but was considered as a world import this year after the change to the classification rules. 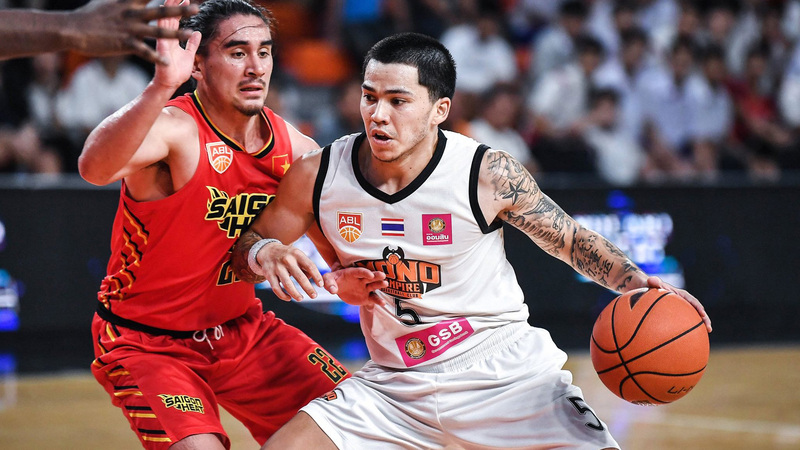 The Filipino-American can be considered as a local player for San Miguel Alab Pilipinas, but can also still draw interest from other teams as an import as well for his play-making skills. It is currently rumored with leaked videos that Brickman is already in the Philippines, training with the Mighty Sports team that will be playing in the 30th Dubai International Basketball Championship. Brickman is familiar with Mighty Sports in his stints with the team in 2016 at the Merlion Cup and Jones Cup. If he is confirmed to play, he will be teaming up with Lamar Odom (2-time NBA champion), Randolph Morris (former NBA player), and Justin Brownlee (former ABL champions with Alab Pilipinas) among other local talents. Mono Vampire Basketball Club are rumored to have a couple of candidates in line to replace Brickman before their road game against the Wolf Warriors next Wednesday (January 30). Among one of the names that have been creating the most buzz is Romeo Travis who recently won the Governor’s Cup in the PBA with Magnolia Hotshot. The 6’6″ all-around forward averaged 24.3 PPG, 14.1 RPG, and 4.7 APG in the championship run. Travis has been rumored towards a move to the Mono Vampire ever since late December. The Mono Vampire’s next game will be against the 10th placed Wolf Warriors on Wednesday, January 30 in China.